Where in the world are Pam and Clark collecting shells now? …where the weather is warm, the water is aqua and the beaches are picture perfect. 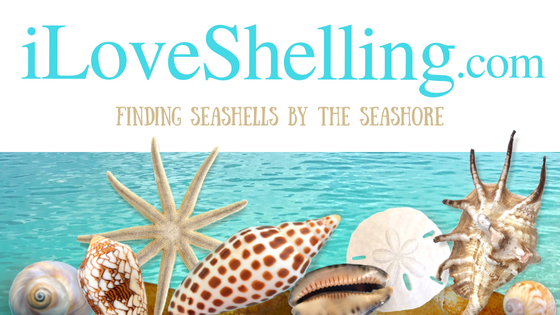 We are on a shelltastic shelling adventure! …in the Islands of The Bahamas! Can’t wait to see!! This was a beautiful appetizer!! Can’t wait! The Bahamas is on my shelling bucket list! Some nice beach glass finds too!!! Yes!!! You are having fun “for shore”! Can you bring those shells home or is it illegal? Btw, they’re really nice! Lots of small islands to explore down where you are! Have a great vacation (hope you find some great shells too) – glad you will be sharing your beautiful pictures with us :-). Always fun exploring new places! I just got back from beachcombing on Sanibel – had fun meeting up with a girlfriend there – we stayed in one of the cottages at Island Inn – loved it . Shelling, sunrises, sunsets, beachcombing, food, water and wildlife were all great! Sorry we didn’t see you & Clark at one of the beaches. The practice of indiscriminately harvesting Queen Conchs for the meat (and punching the hole through the back of the shell) is a common practice at many of the poorer countries throughout the Caribbean and Asia. It was explained to me that live conchs will leave an area with discarded empty shells, bones of their ancestors. So they are piled into a mountain to keep the sea floor welcoming. I brought three home and the only problem security gave me was they could not be in carry-on baggage. They must be checked, because… they could be used as a weapon. As in, Conched on the head! What is the beach material in the photos? It looks like broken coral. I brought home from the BVI 2 queen conchs that I got out of a pile that described above. Can’t wait to see which island you are visiting! I hope the seas are calmer than ours..rough seas give no shells. Have fun! Awesome for you Clark and all your adoring fans. Look forward to hearing about it and seeing your wonderful gifts of the sea. I think that you’re in Eleuthera. Been there it’s fabulous. AS they say, it’s not for everyone but I sure do love it. Wow! Look at all that sea glass! I can’t wait to see and read ALL about it!! Have a wonderful trip! Sunrise tellins from the Bahamas are my favorite! Can’t wait to see all of your treasures. Pam, I just want to thank you for all the time and effort that you put into the “I love shelling blog”. My husband and I just returned from one day of shelling at Sanibel last week Wednesday, at Gulfside and Blind Pass, and your blog was so helpful. This was our very first time collecting seashells (on an informed basis) and we really enjoyed it! Some friends told us about Sanibel last year after they visited. We found the Sanibel Six, although our tupil is broken, as well as lots of others. I am going to hold a homeschooling seashell ID class in the spring, so I was happy that we had found about 20 of the shells listed on your seashell ID guide, of which I purchased two for the class. Our sand dollars are now bleached and glued. I am in the process of cleaning the rest of them. I want to leave barnacles on some of them to show the class as well. Your hints for finding shells and cleaning shells have been most appreciated. I just wish I could take them outside in the sunshine to work on like you often reference. Here in Saskatchewan, Canada, we have been about -25 C to -30 C most days since we returned, so even if the sun is shining, I still don’t want to work out there!! After I spent all the time watching some of the videos on your blog, reading up where to search, and checking out the tides, etc. Super Sheller Paul, found all the sand dollars, all the wormies, etc. I can lay claim to the one and only olive that we found as well as the only broken tulip. Beautiful shells! I’ve vacationed in Eleuthera quite a few times and have always had great luck shelling there (as I have for the rest of the Bahamas), but the photos don’t quite look like any spot(s) I’ve been to there. Are you on Cat? Oh that beautiful sea glass. I am so jealous! And thanks for mentioning my friend Stephanie last week. She was so thrilled! Marvelous time on Captiva! Harry, Coral and I saw the Green Flash for the first time ever day before yesterday. Cool front brought wind and super shelling today. So jealous, Pam! We have gone to Eleuthera for Spring Break for the last 5 years and we LOVE it there! SO many shells to see and collect. I have loved comparing my finds with the ones you post each day here on I Love Shelling. We have also found quite a bit of sea glass there. Your first pic really whets my appetite for our trip this coming March. Can’t wait to be there and your post about the warm air and gorgeous beaches makes me so envious. It’s going to be REALLY cold and damp in Atlanta this week!! You sure have my attention. Sounds like your trip was fantastic. I’m mostly a USA traveler, but might be convinced to go shelling in the Bahamas. Sea glass too. I will anxiously await your next post. Take care, Happy Thanksgiving to you and Clark. Hi Marianne, sounds like we have the same taste in shelling spots! I have written on my blog about most of my shelling vacations and u can find them on the left hand side all the way down under “categories”- then go to “world shelling”. We looooved Anegada in bvis. Haven’t been to elbow cay. Have a great time and thanks for ur comment.